Συμπληρώστε το όνoμά σας και το e-mail σας. Antonis Palles is a well known Greek clay sculptor and creator of "Not Excavated Yet" Collection. He was born in 1965, in Athens, Greece. His origin is from Armolia, the famous potters’ village in Chios Island. 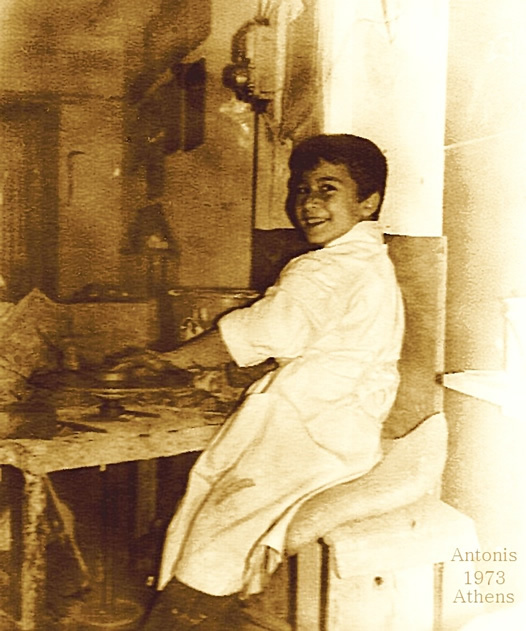 of his father, Isidoros, a potter and painter. in drawing, wood sculpturing (exhibition at municipality of Athens, 1993), music and theatre.